Littleton's mascot - amazing performance AGAIN! 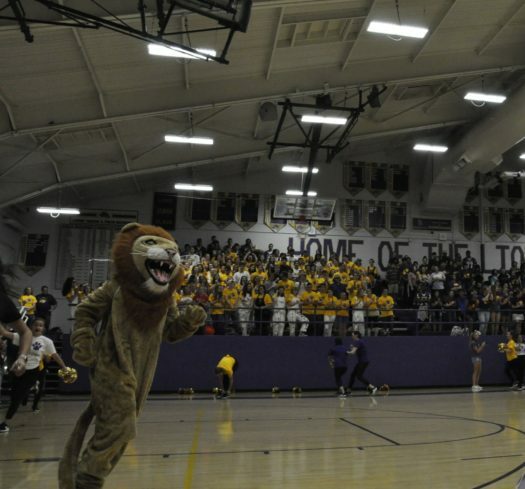 The homecoming pep assembly has been a tradition at Littleton High School for many years, and this year is no different. 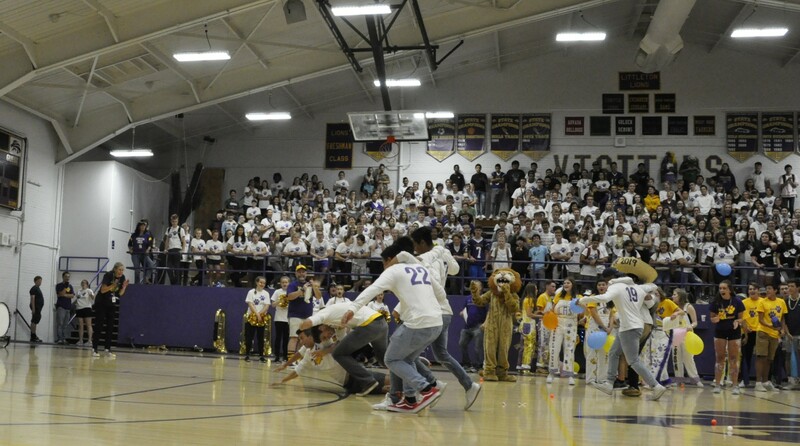 Today, September 21, 2018 was the annual pep assembly. This event went from 2:53-3:31, and included many groups such as football, boys soccer, boys tennis, girls volleyball, boys golf and more. The assembly began with an opening act from the marching band and the choir with the national anthem, followed by the poms team performing their dance, then went into announcing the teams and introducing the seniors in each group. “It was great to be with my team in front of the whole school, the seniors, getting everyone involved.” said senior Logan Leimeister. The crowd went wild when asked to participate and energy levels stayed high the whole time. The do-it cheer was met with a lot of confusion from the freshman who struggled with their first time with this cheer. 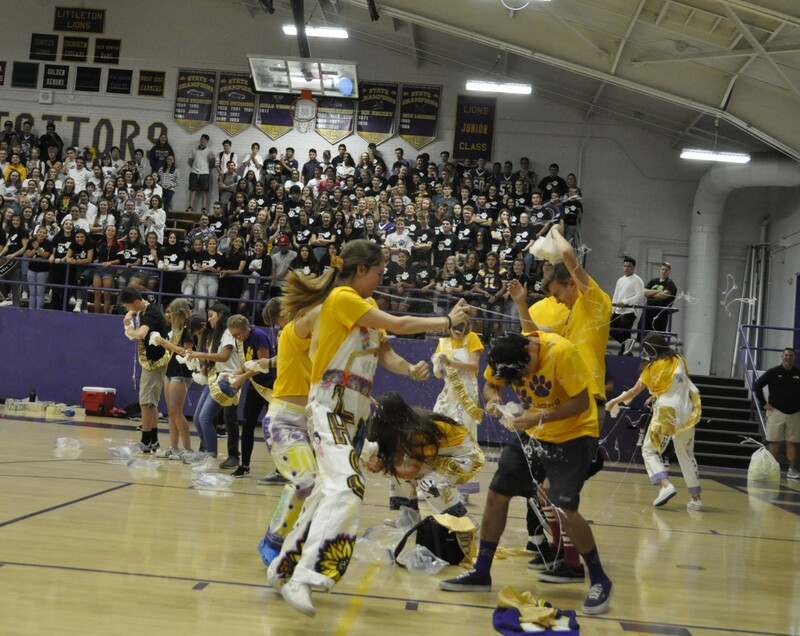 “Pep assemblies should be targeted towards all of our students . . . Last year I think we also recognized the 50 year reunion . 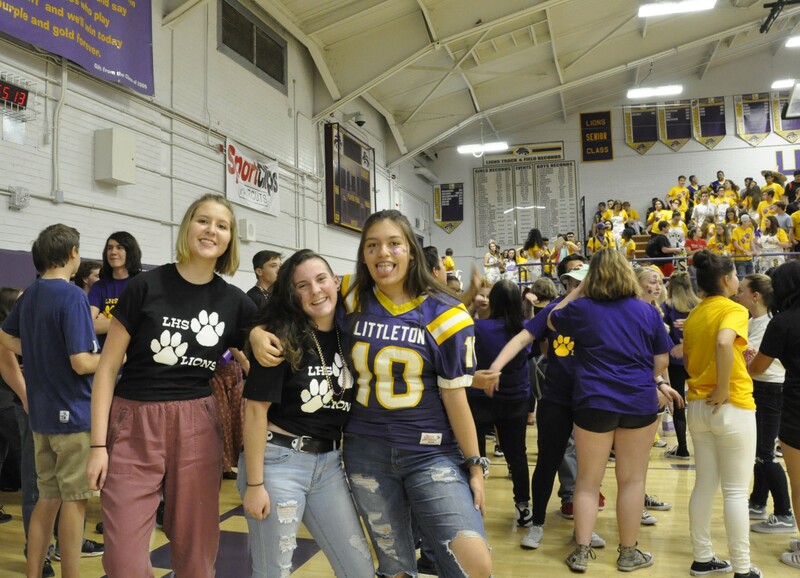 . . Homecoming week is about our current students as well as all the students that have graduated from Littleton High School.” said said assistant principal/athletic director Chris Enzminger. The students had a great time, and cheered loudly for their class royalty. 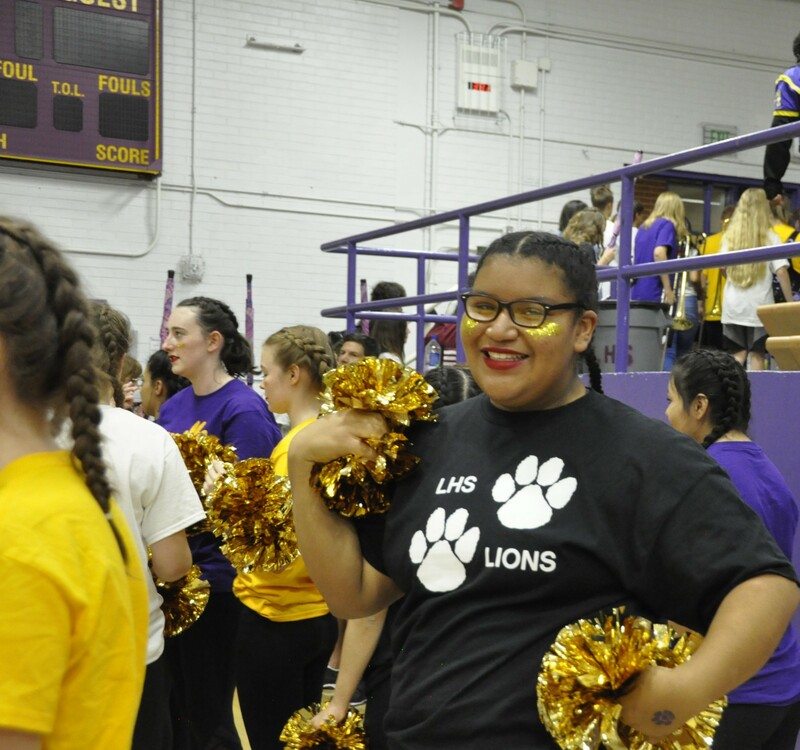 “I honestly think that LHS is doing an awesome job with their spirit this year, and I honestly think that purple and gold will forever stay in our hearts,” said junior Dilara Erntuc. 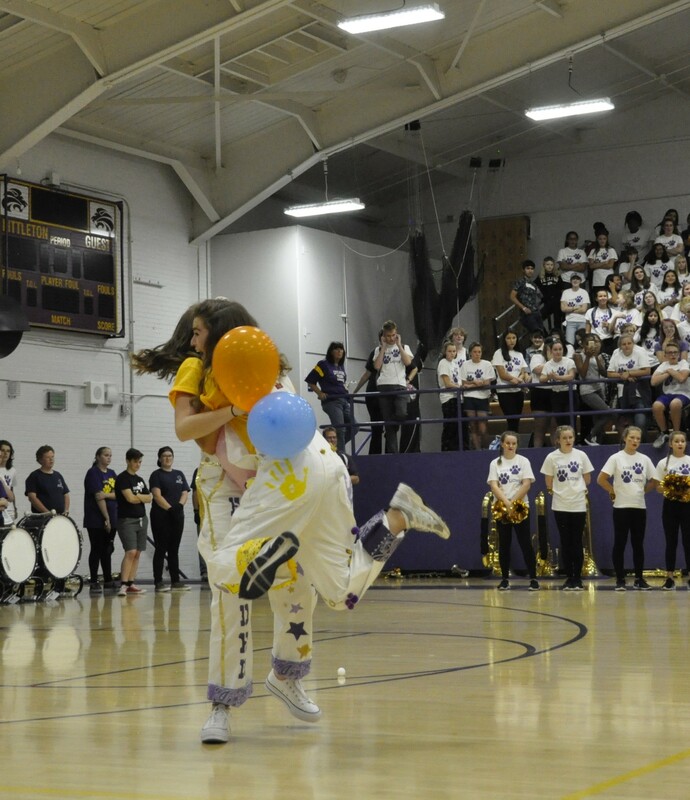 The 2018 homecoming pep assembly has wrapped up and left the students feeling pumped up on purple and gold. 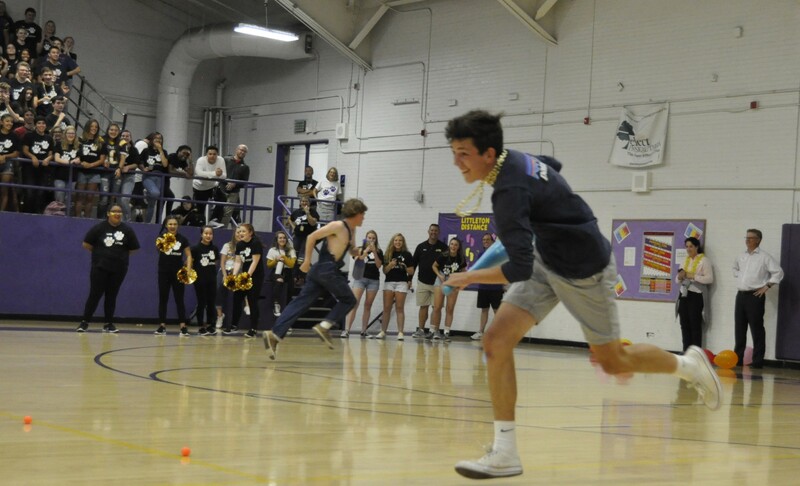 The school spirit has flowed through every student and will keep them going through the football game and to the end of the homecoming dance. Content and multimedia content © 2019 The Lions' Roar. All rights reserved. Platform © 2013-2019 Project for Better Journalism, Inc. All rights reserved. The Project is a 501(c)(3) nonprofit organization, and does not endorse the views of this publication. Sign in to the PBJ control panel. This is PBJ Stallion v5.4.3.